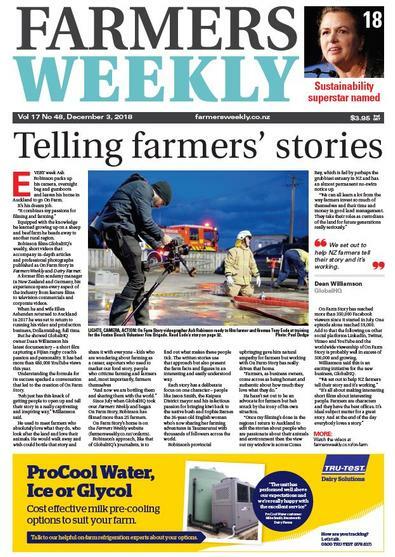 Farmers Weekly is New Zealand’s leading agribusiness newspaper. Farmers Weekly informs, educates, inspires and entertains by giving the primary sector all the up-to-date news, commentary, market information and farming stories they need to run their businesses. Farmers Weekly also features NZ's most comprehensive store market report, along with market data and expert analysis supplied by our partner, AgriHQ. Farmers Weekly is powered by GlobalHQ Ltd from Feilding, New Zealand. Our team of award-winning journalists take great pride in providing the country's biggest industry with the best possible information. Be the first person to tell us what you think about Farmers Weekly and you'll save $5 on your next purchase! This is published 50 times per year, please allow up to 1-2 weeks for your first delivery.